The couple was dining out when the wife noticed a familiar face at the bar. 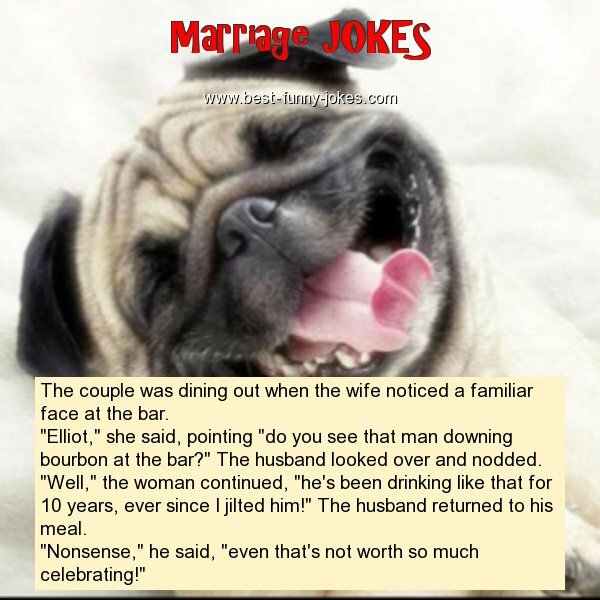 "Elliot," she said, pointing "do you see that man downing bourbon at the bar?" The husband looked over and nodded. "Well," the woman continued, "he's been drinking like that for 10 years, ever since I jilted him!" The husband returned to his meal. "Nonsense," he said, "even that's not worth so much celebrating!"